The PS3 pre-ordering masses are breathing a slightly stunted sigh of relief this morning, after Sony softened the blow somewhat in the on-going backwards compatibility saga. Spokesperson Phil Harrison at Sony said that the European Playstation 3 will be able to play around 1,000 old Playstation 2 games from launch. 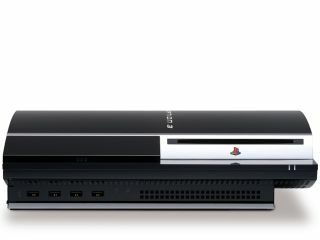 Last week, Sony left PS3 hopefuls feeling sick to their stomachs when it announced that the European version of the PlayStation 3 would have a new hardware specification, and would be compatible with fewer of the older PlayStation 2 games. But in a move to quell the widespread outrage, Harrison revealed that just over one third of Playstation 2 games will be compatible with the PS3 when it launches. "The situation is changing every day, but on March 23 we expect the list [of compatible PS2 games] to include over 1,000 PS2 titles," he said in an interview with Three Speech . As time moves on, more games will become compatible via firmware updates. But Sony has previously said that rather than concentrate company resources on making more games playable on the PS3, it will instead focus on developing new games and entertainment features exclusively for the newer console. "The backwards compatibility is not going to be as good as the US and Japan models," Sony had said in a statement. Worldwide Playstation 2 sales are still higher than those of the newer PS3 which is languishing at the bottom of the console market at the moment, having also been out-sold by the Nintendo Wii and the Xbox 360 . The PS3 launches in Europe on 23 March, and is the UK's most pre-ordered console of all time. Users will be able to check whether their titles are compatible with the PS3 at http://faq.eu.playstation.com/bc .